Are big, bulky power adapters creating unsightly gaps between your walls and furniture? The 18" long Flat Plug Power Strip Liberator ® extension cord lets you move your power adapters off the wall and down onto the floor. 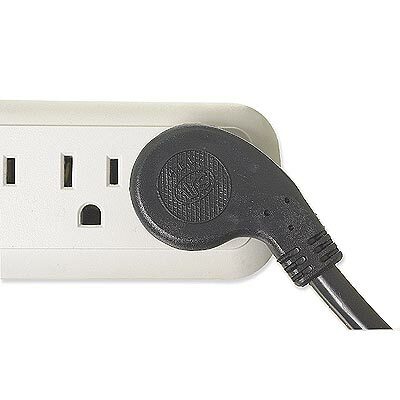 They have a flat plug with a unique right-angle design that minimizes the space required at wall outlets. Standard plugs require lots of space between furniture and wall.